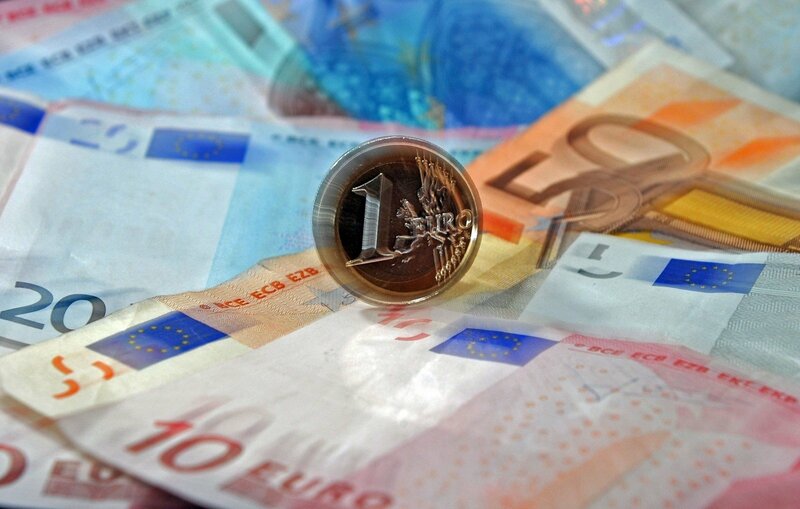 Is it right for one person to pay 5 euro for a service, while another – 10 euro for the same? Most would likely say that's unfair. However when talking about social insurance this argument does not apply. There are to soon be discussions on potential variants of Sodra tax reform. Currently a so-called ceiling is applied to social security (Sodra) disbursements: no matter how much money an individual pays Sodra, they will still receive no more than a certain fixed sum. Based on current regulations, both someone earning 5 thousand euro and someone earning 10 thousand euro will receive equal pensions, public health insurance and childcare disbursements, though the latter pays twice the tax the former does. Furthermore, citizens insured with the mandatory health insurance (PSD) are guaranteed equal services from the state, even if the difference in their PSD payments is ten or thousand fold. In most states, which operate a similar social security system as Lithuania, not just a disbursement ceiling exists, but also a payment ceiling. It is a certain limit up to which social security taxation is calculated. For example in Germany, this is 6350 euro or 5700 euro (depending on place of residence). If an employee earns more, social security payments are calculated only from this sum. That said, in most other states, the highest earners also have a larger income tax tariff applied. In the same Germany, those earning the most are taxed with a tariff of 45% and those earning the least – 14%. The standard income tax tariff in Lithuania is 15%. There have been discussions of a Sodra payment ceiling for years, however it has yet to be implemented. The last time major talks of it were held was last year. Nevertheless the proposal to apply a ceiling at 60 average monthly incomes (VDU) per year or five VDU per month did not pass. "Last year more attention was directed at equalising social security payments for freelancers. The question of a social security ceiling has to be resolved during the reform and improvement of the tax system itself. This is linked to tax questions. Due to this, the passing of the decision was delayed," the Ministry of Social Security and Labour (SADM) explained the lack of implementation of a payment ceiling. The ministry did not dismiss the possibility that the question will be returned to, stating, "All questions linked with taxation and potential tariff redistributions between social security and general taxes are being discussed by experts gathered by the minister of finance and minister of social security and labour. Information on how the whole tax system may appear, also the social insurance system, will be presented when the experts conclude their work and present their conclusions." The SADM presented Sodra data, which reveals that in 2017 there were 10.4 thousand individuals (almost 1% of those employed), who earned more than five VDU (3706 euro) per month. If a payment ceiling were applied to them, 115 million euro would not have been paid to Sodra. "However in order to reduce possibilities for abuse, the proposal was raised to limit the annual insurance payment ceiling at 60 VDU, rather than monthly, in which case social insurance and health insurance losses under the tariff of 39.5% would have amounted to 82.7 million euro," the ministry stated. The Ministry of Finance informed Delfi that up to April 9, the workgroup led by the minister of finance has to present proposals for tax changes, encouraging fair tax payment and reducing incentives for black market economy. "In this context, the workgroup is deliberating consolidating state social security payments and also a social insurance payment tariff inclusion into the income tax which reflects the base pension. More detailed information will be presented by the Ministry of Finance when the workgroup finishes its task and presents conclusions," the minister's advisor Raminta Stanaitytė-Česnulienė commented. Economist Raimondas Kuodis recounted how he has been suggesting various cabinets for a decade now to implement a Sodra payment ceiling for a number of reasons. "Firstly, Sodra payments are a cruel tax for some, while for others it is a profitable investment. If a person pays more into the social security system through their life than they receive, those payments will be a tax. On the contrary – if they receive more disbursements than they paid – it will be a good investment. People's behaviour depends on this ratio of payments and disbursements as well. For example, men should want to pay to Sodra less than women because on average the latter live far longer after entering retirement (having also retired earlier before), thus they receive disbursements (pensions) longer. On the other hand, there are those in Lithuania who have, in essence, been exempted from Sodra payments by politicians – artists, freelancers, farmers as well. They should not receive anything from Sodra because they did not pay anything to it or else only receive a minimal base pension. However why would they pay if they can expect that the government will still support them?" he mused. According to the economist, due to such consequences, which distort citizens' behaviour and motivation, the governments of most countries seek for their social security systems to be just what they are called – a publically provided insurance service and not a redistribution system. "The function of income redistribution can transparently be performed by other taxes or the social benefit system. For example, those earning less can pay relatively lower income taxes or consumption taxes (lower VAT tariffs for goods that take up a major part of poor individuals' expenses – food, medicine, utility payments). The state also pays various social grants, such as compensating heating expenses, as is done in Lithuania," R. Kuodis explained. According to him, a payment ceiling would not have a significant impact on the Sodra budget. However, this would help attract more foreign investment and create more well paid jobs. The economist proposes to completely merge Sodra payments with the income tax and regulate so that they would be paid from the entire employee's employment cost. This way incentives to pay off the books would apparently disappear. As well as this, R. Kuodis proposes to change the current social insurance system where accounting units accumulated by the citizen are counted to a personal accounting system where all euros paid by the citizen are counted and, in a sense, accumulated. "Then all would be clear for everyone: the more you pay, the larger your pension. Under such a system, it would also be possible to provide social credits, such as when you have a child or choose to study. On the other hand it would make it unnecessary to have work experience requirements for pensions – individuals would be interested in accumulating for as long as possible," R. Kuodis stated. Economist Justas Mundeikis does not believe that a Sodra payment ceiling should be rushed. "In Lithuania we should first review the whole tax system and not shift individual cogs. As such, I am against changing individual taxes or establishing a tax ceiling. There are arguments for and against it, however no calculations have been made on the economic consequences of such a move. As such I believe that establishing a Sodra ceiling should be publically discussed and this decisions implementation is possible only alongside a general tax and pension system reform," he mused. The expert admitted that Germany does have a payment ceiling. However, this is because of a progressive income tax tariff. Lithuania has neither, thus it is difficult to compare the two systems. By J. Mundeikis' calculations, the cost of employing an individual earning 1-2 thousand euro net in Germany is lower than in Lithuania and only when the wage exceeds 3 thousand euro does the cost of employment become lower in Lithuania. "Lithuania can already compete for talented and well paid employees. If a company pays the same employment costs, then employing an individual with a wage of 3 thousand euro costs less in Lithuania, while the employee earns more after tax. We clearly have a problem competing for lower paid jobs," the economist explained. According to him, if Lithuania implements a tax ceiling without changing other taxes, it would only benefit those earning the highest wages. "If we implement a Sodra payment ceiling, then we would see that those earning high incomes (such as 5-6 thousand euro or 10 thousand euro) would experience relatively lower taxation. As such a natural question should arise and public discourse would be required – is it beneficial to Lithuania in both a tax and economic perspective," he stated. J. Mundeikis mused that a payment ceiling has perhaps not been implemented in Lithuania because there is no clear answer, how exactly the funds lost would be replaced in the Sodra budget. The second reason is that Lithuania does not have a progressive tax tariff. As such when a ceiling would be established, the tax tariff would be relatively lower for those earning the most, compared to those earning less.